Just as an artist is only as good as his paints, so, too, will your firearm cleaning job only be as effective as the products you use. And grabagun.com is where you look when you want quality cleaning products for a great price. We have the widest selection of cleaners around, including the Break Free line of products. Break Free has every type of cleaner or solvent you could need. Take a look at their flagship product, CLP, which contains both solvents and oils; the solvents clean and then evaporate, leaving the oil in place to lubricate. You can use it on all of your guns - pistols, revolvers, shotguns and rifles. And it's an aerosol, which means it can really get into those hard to clean nooks and crannies. You can put a coat of this on your firearms as you leave the range and they'll come away looking brand new. 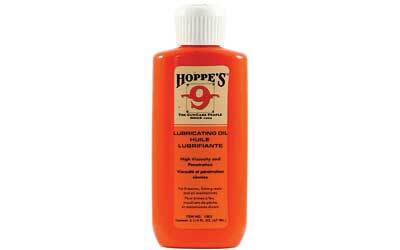 We also carry a full line of Frog Lube products, which are some of the best-reviewed in the industry. Firearm owners love these items for their reliability, versatility and reasonable cost. They've even been proven in dusty, sandy combat zones and have become go-to products for scores of gun enthusiasts. In addition to the above and many other of your standard cleaners and degreasers, we also have bore rinses, rust blockers, and rust-blocking remitter shields in case you have an issue with humidity when it comes to storing your firearms. We also carry gun oil, bore polish, an anti-seize stick, gun/bow/reel oil, polishing balls and nitro solvent. In other words, if you need it for cleaning your gun, we carry it. Look to grabagun.com for the best in firearm cleaning products.